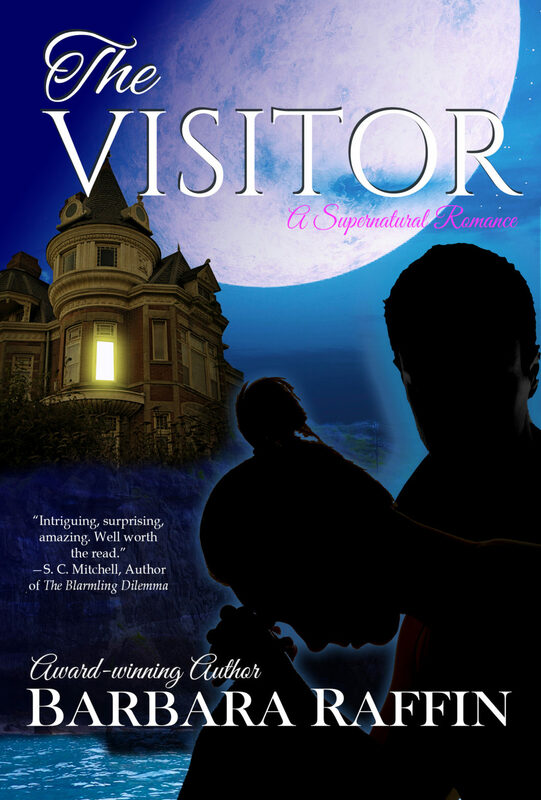 My dark, gothicky paranormal THE VISITOR is on SALE in digital format until the end of September for $1.99 along with many other fine books at WRITTEN DREAMS PUBLISHING. Just click on either graphic. This entry was posted in AURAS, CLONE, Fiction Readers, GOTHIC ROMANCE, gothic romance, LAKE SUPERIOR, MICHIGAN, Paranormal, romantic suspense, Sci-fi romance, SHIP WRECKS, Woman in Jeopardy on September 6, 2018 by Barbara Raffin. 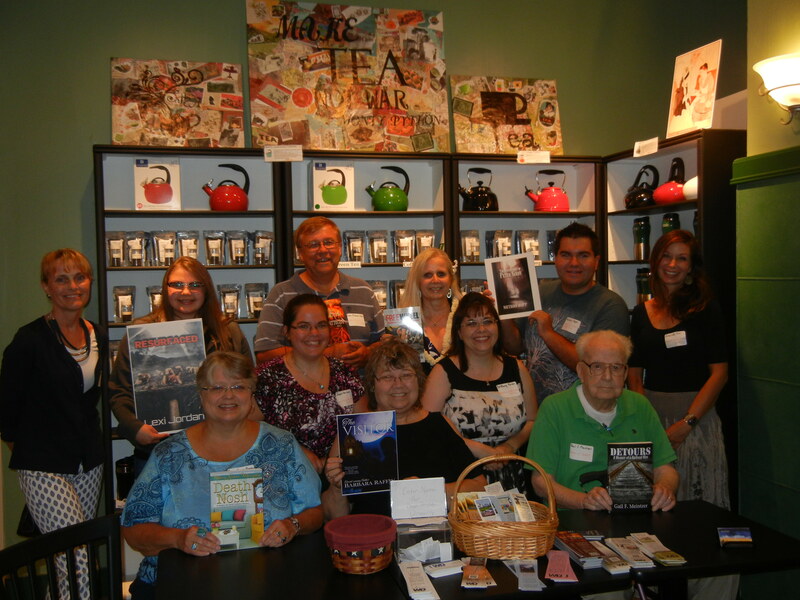 Wednesday night, Written Dreams Publishing sponsored an author signing at The Attic bookstore in Green Bay. 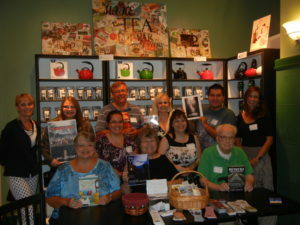 First picture is of the attending authors. I’m front row center with the cover of my just released paranormal romance, THE VISITOR. 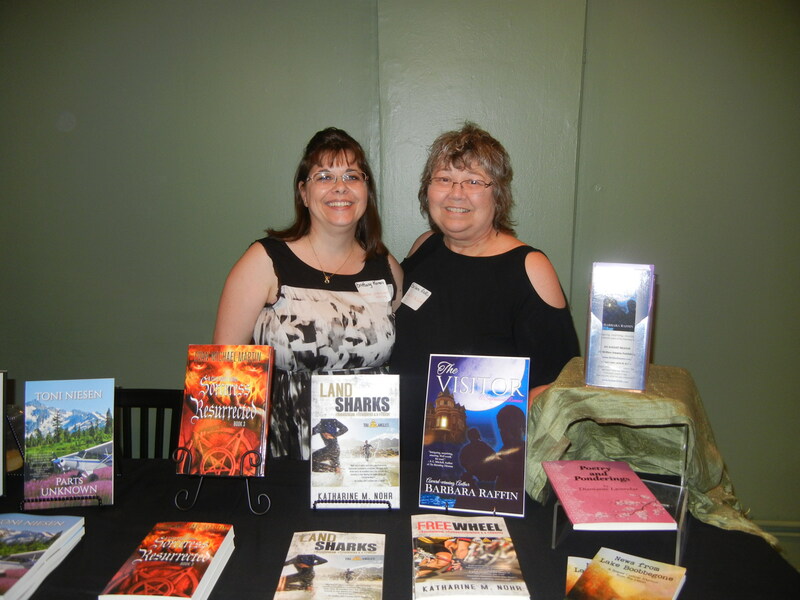 Written Dreams Publishing was represented by a diverse group of authors. 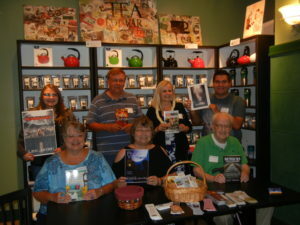 Back row L to R: Lexi Jordan with her debut novel, a dystopian futuristic, RESURFACED. Evan Michael Martin, author of a series of Wiccan & Sorcery books. Katerine Nohr, author of courtroom mysteries. Nathan Huff with his soon to be released historical fantasy. Front row L to R: Mary Grace Murphy, author of culinary mystery DEATH NOSH. Myself, Barbara Raffin, with the cover of my just released paranormal, THE VISITOR, and Gail F. Meintzer with his memoirs, DETOURS: A Memoir of a Railroad Man. WRITTEN DREAMS PUBLISHING is making its mark as a publishing house unafraid of putting out unusual stories of exceptional quality. Of notable interest, Lexi Jordan, back row left, is a mere sixteen. Look for her distopian futuristic, RESURFACED, this fall. Picture three includes the Publisher Koren and her WD staff of interior designer, copy editor, and cover artist. This entry was posted in AURAS, CLONE, Fiction Readers, GOTHIC ROMANCE, LAKE SUPERIOR, MICHIGAN, NEW RELEASES, Paranormal, READERS, Romance Readers, romantic suspense, Sci-fi romance, SHIP WRECKS, Woman in Jeopardy and tagged books set in Michigan, love story, paranormal romance, romance novel set in Michigan, romantic Suspense, rural setting on August 11, 2017 by Barbara Raffin.